Maureen Wertheim put together a beautiful collection of Silent Auction items for the 2018 NC NOW State Conference. 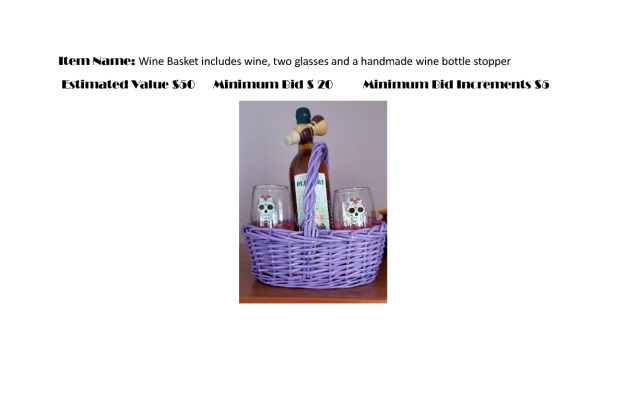 Please take a look in silent auction items description.MW. Join us at the conference to bid on them or we may be able to work something out with an early bid. Contact Maureen at mlwertheim1 at gmail.com or president at raleighnow.org. See all of the items at 2018 silent auction items preview. Looking forward to seeing you at the state conference! Register online or using the registration form here.